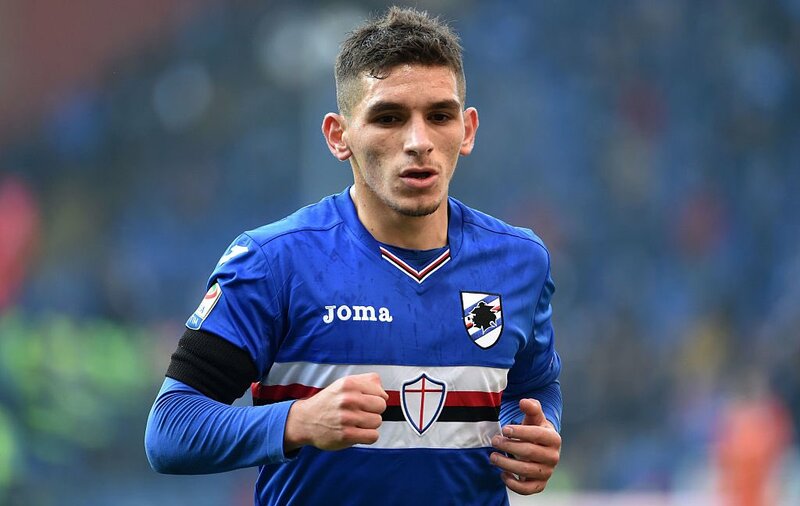 Arsenal, after weeks of speculation, finally landed Lucas Torreira from UC Sampdoria on Tuesday afternoon and the tireless Uruguayan, who represented his country at the 2018 World Cup, is understandably eager to begin his ‘adventure’ at Arsenal. Torreira, 22, allegedly penned a long-term deal, and during his first interview for the Gunners, the midfielder admitted that he’s already feeling ‘comfortable’ in his new surroundings in north-London, a statement that will certainly reassure the club’s ardent fans that he’s ready to stamp his mark upon Unai Emery’s revolution. “I feel calm,” he revealed to the club’s official website (via Independent). “I am used to coping with this kind of thing in the best possible way. It’s a very positive thing that people want to welcome me. It makes me feel comfortable. Now I am calm and I look forward to the future, which for sure will be very nice. Uruguay were eliminated from the World Cup by France after succumbing to a 2-0 defeat in the quarter-finals, although having blossomed on the planet’s biggest stage, Torreira insists that he’s profoundly ‘proud’ to have participated for La Celeste in Russia. “I feel very proud of it, it all turned out great for me,” he proceeded. Torreira has been issued the No.11 jersey by his new employers for the imminent 2018-19 campaign and will supposedly link up with the squad in early August, as he’s presumably still recovering from a turbulent summer of endless, glorious football. Share the post "Lucas Torreira eager to begin Arsenal ‘adventure’"